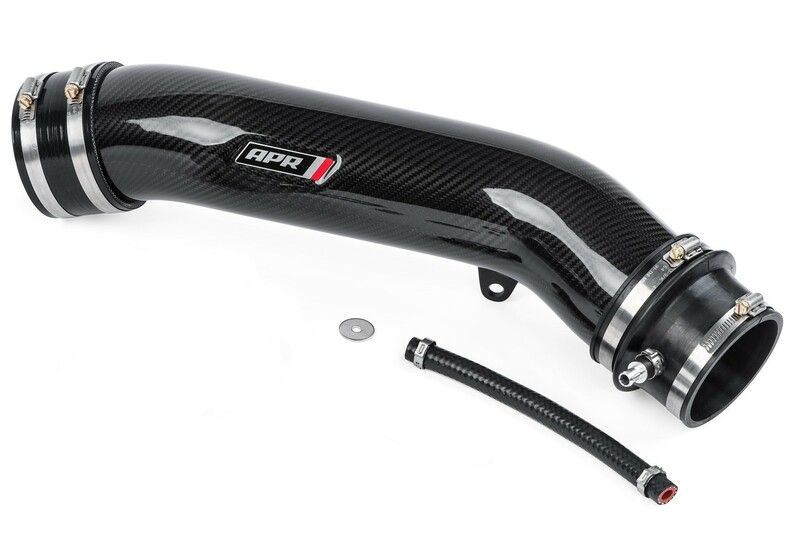 The USP Motorsports High Flow RS3 & TTRS downpipe transcends expectations in quality, performance, and sound. 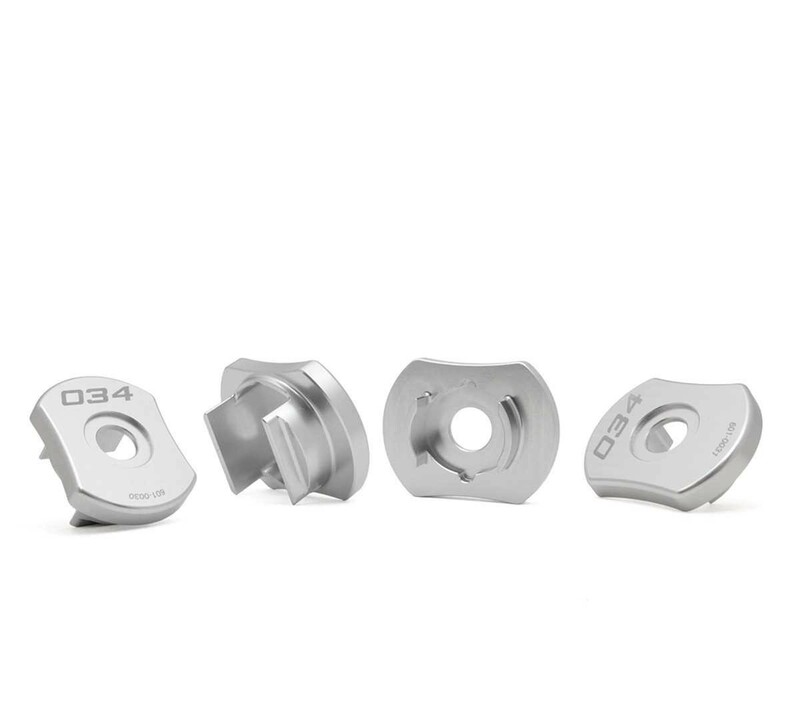 This system has been through extensive testing and is finally ready for its release. 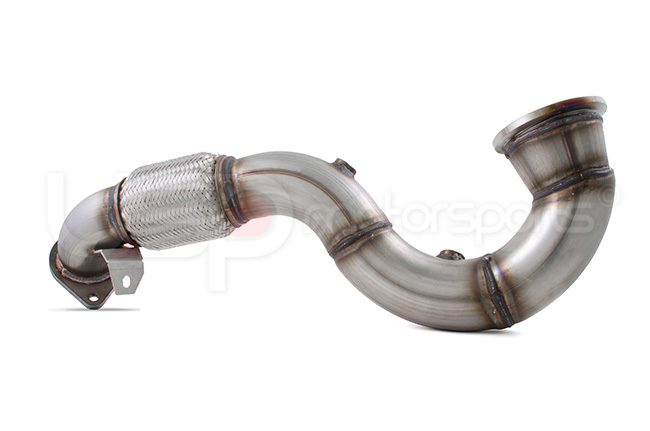 With an astounding growl, this downpipe is sure to turn some heads as your RS3 or TTRS cruises or rips down the road. 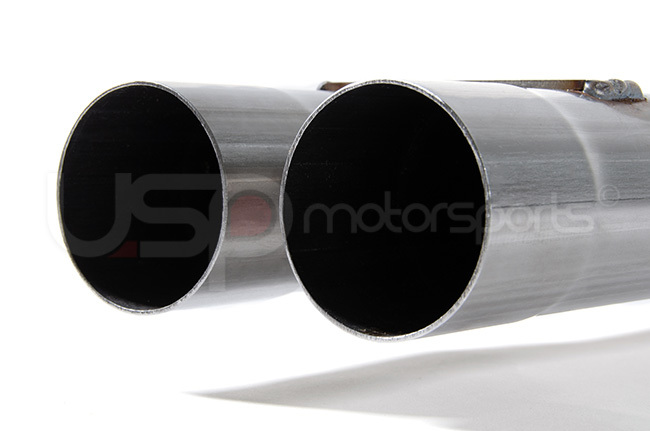 If that wasn't enough, you can also expect a gain of 25+ wheel horsepower. 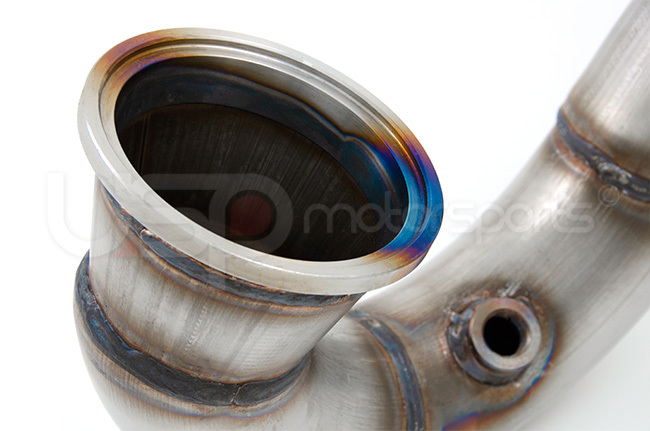 Our stainless steel, mandrel bent, high flow design provides the supersonic airflow, increasing throttle response and overall power increase. 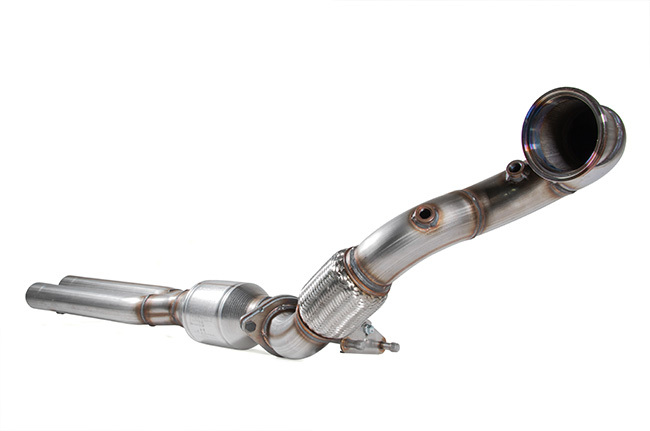 No exhaust restrictions mean no wasted potential. 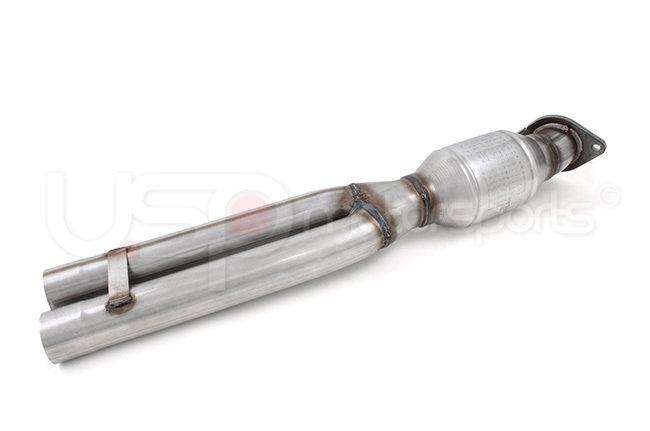 Starting from a 96mm (3.79") opening, this system transitions down to a 3" section, through a 5" High-Flow 200-cell catalytic converter and splits off into dual 2.5" straight sections that connect directly to your factory exhaust. 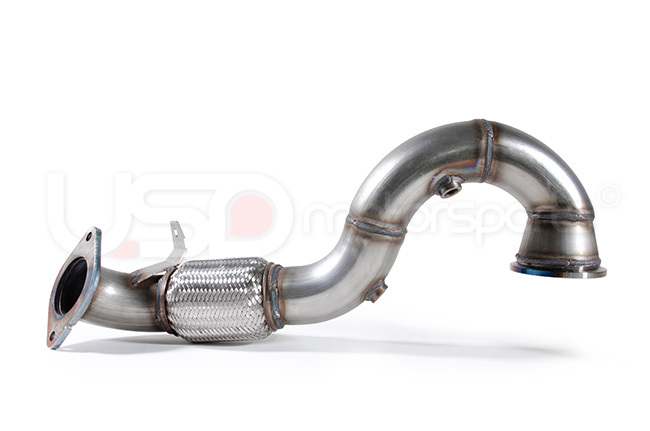 This system has been tested on multiple 9 second, 700+ WHP RS3 and TTRS cars. 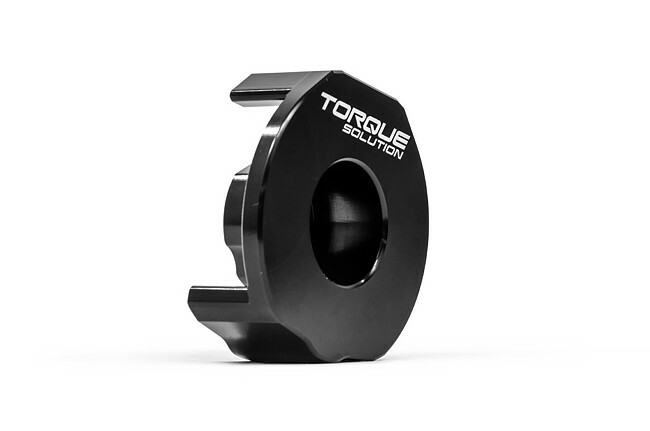 It sounds incredible, optimal performance and as always backed by our lifetime warranty. 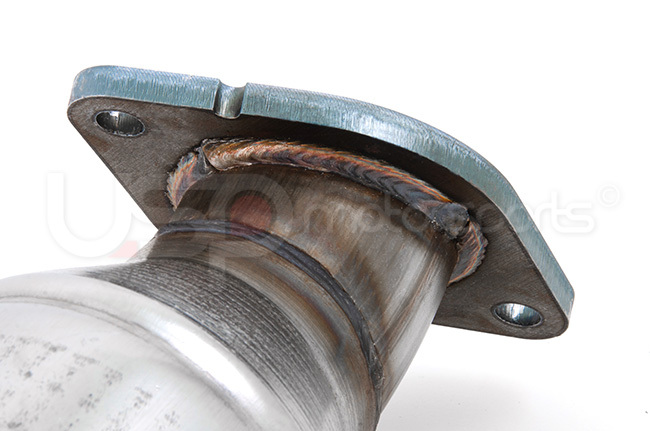 Following this order allows for the easiest and most straight-forward install. 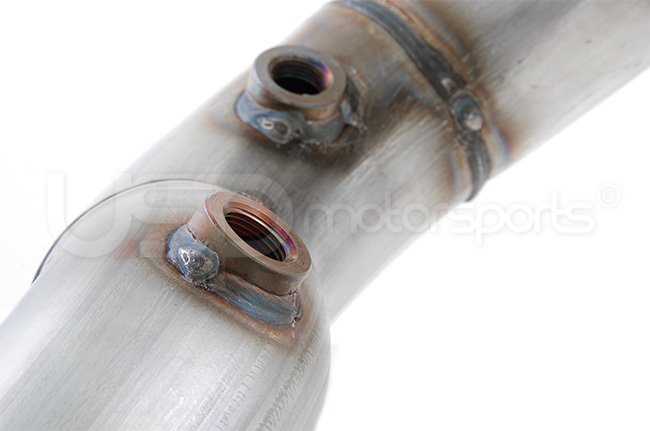 First, remove the drive shaft, then the factory heat shield, followed by the factory downpipe. 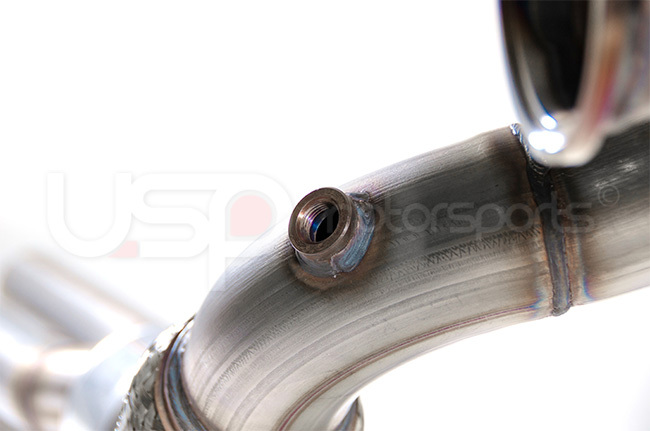 When installing, add the factory heat shield first, then the USP downpipe, then the drive shaft last.